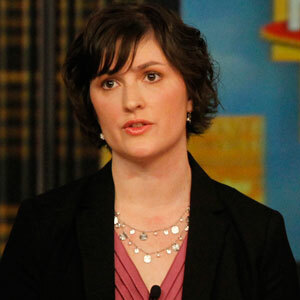 Just six months ago, Sandra Fluke was an unknown, run-of-the-mill liberal college student. But a brief stint as a mouthpiece for Nancy Pelosi and a crass insult from Rush Limbaugh later, and voilà! Overnight she became a left-wing superstar, a courageous revealer of the misogyny around every corner, a tireless crusader for a woman’s right to make someone else pick up the tab for her birth control. Yes, Fluke can campaign for whatever she wants. Yes, it’s regrettable that she got called a bad word in public. But can someone explain how that – or anything else – merits the celebrity treatment? Can somebody identify just what it is that gives her input any sort of unique relevance or authority in American politics? It’s not that she’s got some deep victimhood story to tell – Limbaugh’s insult didn’t result in any discernible harm beyond the sting of an unkind word (and on that score, all I have to say is “join the club”). Indeed, considering how fully the mainstream media embraced her and cemented her stardom, it’s a real question where she’d be right now without Rush. And let’s not forget that Rush apologized, and Fluke refused to accept it. Way to be the bigger person. It’s not that her expertise is particularly compelling – Fluke’s infamous House testimony on the crushing burden of buying contraception was soon undermined by analysis by people like Craig Bannister, John McCormack, and Charles Cooke, who with little difficulty revealed numerous birth control options that cost far less than her $3,000 estimate. And when Fluke moves from monologue to dialogue, things go downhill, as seen in this exchange, where even CNN’s host seems a bit perplexed that anecdotes trump hard employment numbers in Fluke’s judgment. And it’s certainly not that her message is a worthy one. Though Fluke and the media would certainly like us to believe she’s simply carrying on the noble work of past generations of feminists, what with their fear-mongering about “rights” being at stake, the truth is that she’s really selling the deeply narcissistic message that personal desires should run roughshod over the rights of others. Want contraception, but can’t afford it? Just force someone else to insure it, their beliefs about how to spend their own money be damned. Pregnant but don’t want to be? No problem, just get an abortion; never mind about the blameless child you’re snuffing out. Wrapping all this in the trappings of personal freedom and gender equality is exactly the wrong message to send, a virtual guarantee to make society worse in the long run. That President Obama sees fit to help extend Sandra Fluke’s fifteen minutes of fame tells us a great deal about his own values.